Go ahead, wear many hats. September is National Hat Month! With September leading into cooler days (the 22nd is the first day of fall) it’s only fitting that it be dubbed National Hat Month. Headwear- caps, hats, wraps- has always been in style and this season will be no different from seasons passed. 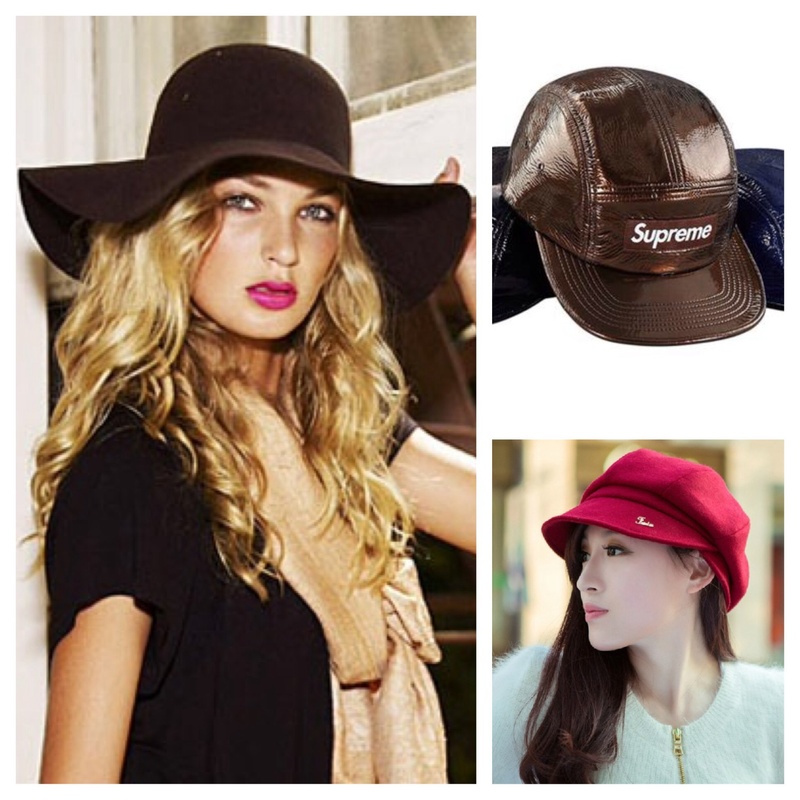 After all, hats are the go-to accessory on bad hair days plus you can find one to match any outfit. Many of us only have fashion in mind when we buy a hat. The added benefit of year-round protection from the elements is an afterthought. Beside wearing the occasional newsboy to run errands, it’s hard to tell that I’m a hat lover with a stack of hats in my wardrobe. I rarely wear them anymore but I was still happy to learn that my birth month was also the time for celebrating hats. When I discovered this connection, I vowed to wear my hats more often and decided it was time to update my collection. Wanting to add something practical and fashionable, I looked to the runways and fashion blogs for inspiration. On fashion in general, several websites note that looks from the 1950’s and 1960’s will be making an appearance in the coming months. When it comes to colors the options are many. Some sites show lots of bright colors while others highlight darks. Especially classic black, red, and blue. Blue and purple worn together is expected to trend and silver will continue to dominate metallics. Head toppers that get two thumbs up this season according to Wardrobe Looks: the pom pom beanie, cowboy hat, fur hat, and anything oversized. 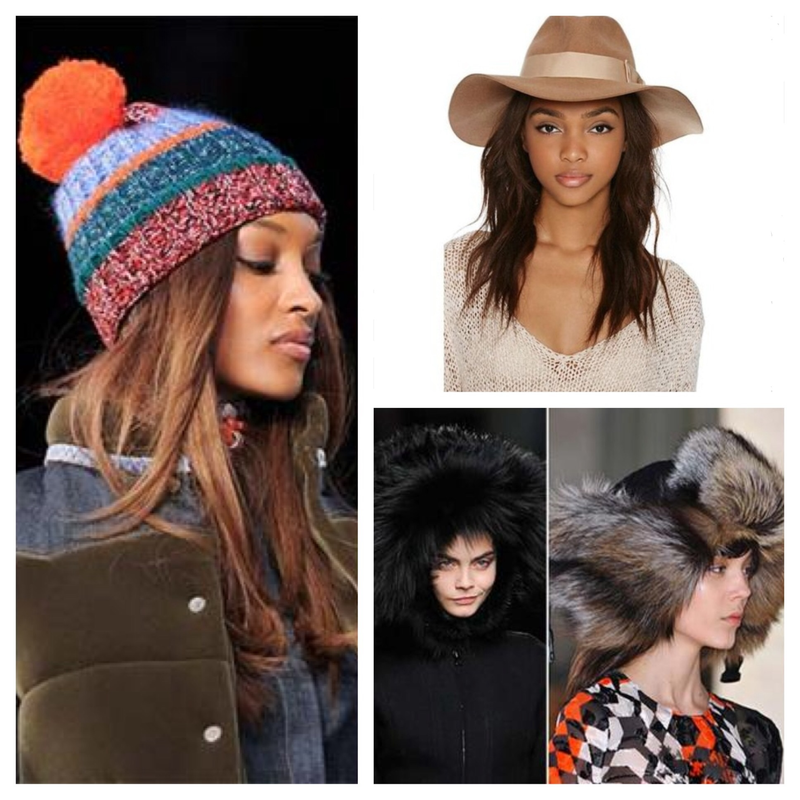 Another trend on the runway at New York Fashion Week for the fall/winter 2014/2015 season was the felt hat according to Bay Area Fashionista. Knit caps are forever popular when its nippy out and Pouted predicts that beanies in oxblood and cobalt will reign well through spring. I’ll probably add at least one knit to my collection, but floppy hats and wide brims currently have my full attention. Since Kim Kardashian wore the amazing statement pieces below there’s no shortage of this look on the streets and runways nowadays days. I’ve kept these images tucked away in the back of my mind and I’m pretty sure that subliminally they had something to do with my current craving. Considering my findings, I’m now on a mission to find my perfect hat for the season. In my mind I see a fierce dark blue felt wide brim (suede or wool) with deep purple and silver accents; something with a classic, timeless appeal. I’ve posted a blue felt hat over on Pinterest but its not quite what I’m looking for so my search continues. Have you spotted my dream hat somewhere? Pin it on Pinterest and tag @Etudelife in the description after you follow our Fashion Wish List. We’ll follow back and I’ll share my thoughts. Warning: If not lined with silk or something similar, hats can leach the moisture from your locks leaving them dry and brittle. Some materials can also snag causing hair to break or split. Take extra special care of your hair when wearing headwear. Photo credits: Unknown copyright. Images taken from Google Image search and Yahoo Image search.